Some things you think will be simple actually end up getting really complex. Like those DIY fro-yo places. You walk in thinking you'll just get a scoop of a single flavor and a spoonful of your favorite topping ... but you always walk out with a full bowl and at least three toppings -- because how could you get Oreo crunch without getting gummy bears, too? Or, ya know, your Google Calendar. Your Google Calendar comes with your personal Gmail address, and you can't believe how simple it is to use and set up. Then, you might start at a company that uses Google Apps, and suddenly you've got to figure out how to remember your best friend's birthday, find out when your boss is free for that meeting you need to reschedule, and set deadlines for that blog post you have coming up -- all at the same time. 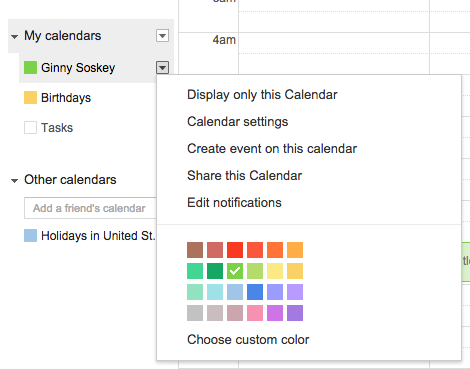 With the out-of-the-box features in place, Google Calendar starts to feel a lot less simple. Easily schedule meetings without the back-and-forth emails. Get free access to HubSpot Meetings here. 1) Create new calendars for different parts of your life. When you first start out on Google Calendar, you're given one calendar to start with -- it's the one with your name under "My calendars." So if you want to use your calendar for multiple things (ex: managing your actual schedule, planning periods of heads-down working, and scheduling repeating reminders), you only have one place to do it. But when you're only working with one calendar, all of those things get treated equally -- meaning you can't quickly and easily pull up the non-repetitive, important tasks you have for the day. To combat this, just create a new calendar for each part of your life you'd like to keep track of on your Google Calendar. To create a new calendar, click the little arrow next to "My calendars," and you'll see an option to "Create new calendar." Select that, choose your desired calendar options, and then voilà! You've got yourself another calendar. Pro Tip: You can even color-code each calendar to make it easy for you to pick out what you've got to do each day. 2) Schedule meetings with groups using "Find a Time" or "Suggested Times." Ever need to schedule a meeting with several people who have busy schedules? It can be really annoying to try to figure out when you're all free. Thankfully, Google Calendar actually has two features that can do the heavy lifting for you: "Suggested Times" or "Find a Time." To use either, make sure you've added everyone to the event who needs to attend. Or, you can choose the tab next to "Event details" called "Find a time" to have Google help you find a time. In this option, you'll see everyone's schedules side-by-side. Find an open spot? Claim it with that blue-dashed box and send off your invite. 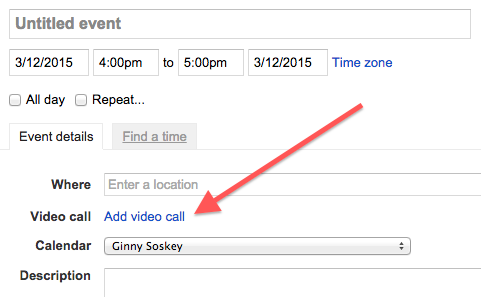 3) Add a Google Hangout to your event. I don't know about you, but I often find myself attending meetings that require me to reference a relevant document. Maybe we're all working off one Google Doc, or perhaps we're pouring over an intricate spreadsheet. Regardless, it's best to make sure that all attendees have the materials they need before the meeting begins. 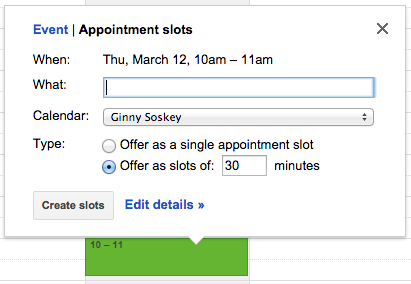 First, you have to enable this feature in Google Calendar Labs. 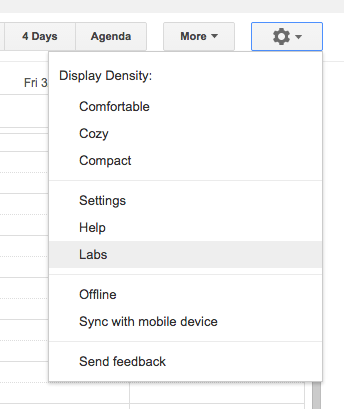 Click the "Settings" sprocket in the top right-hand corner of the main Google Calendar page, then choose "Labs." Then, find the feature "Event attachments" and choose to enable it. 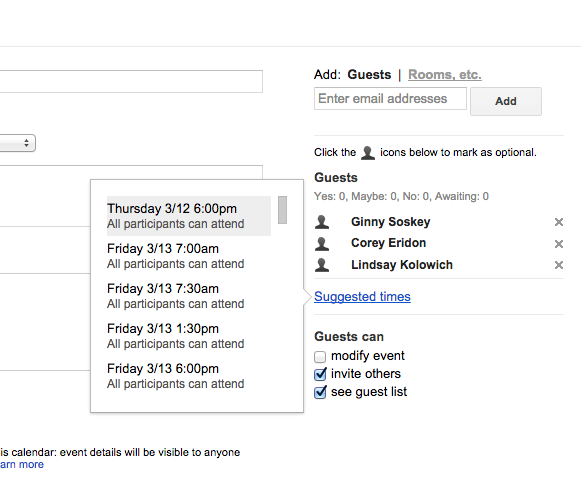 Click "Save" at the top, and you'll have the option to attach files to your event using Google Drive. 5) Set up a world clock. Do you work with teammates who live around the world? You might find it's difficult to figure out what time is appropriate to schedule meetings with them. 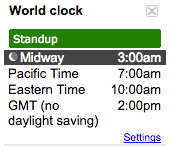 Fortunately, you can -- by enabling "World Clock" in Google Calendar Labs. Once it's enabled and set up to include your preferred time zones, you can easily see what time it is in other time zones, or click on any event and see what time it will take place in your selected time zones. 6) Get 1:1 meeting names. Want to know whom you're meeting for lunch without having to click into the event? Enable the feature "Who's my one-on-one with?" in Google Calendar Labs. To set it up, use the same steps as above. Remember the time you tried to email a large group of people about an event? Maybe you were trying to coordinate a team outing -- or just let everyone know they should bring their laptops to the all-hands meeting. Regardless, I bet it was annoying to try to figure out who was actually going to the event and ensure you didn't forget anyone. Well, this Google Calendar feature will come in handy next time. 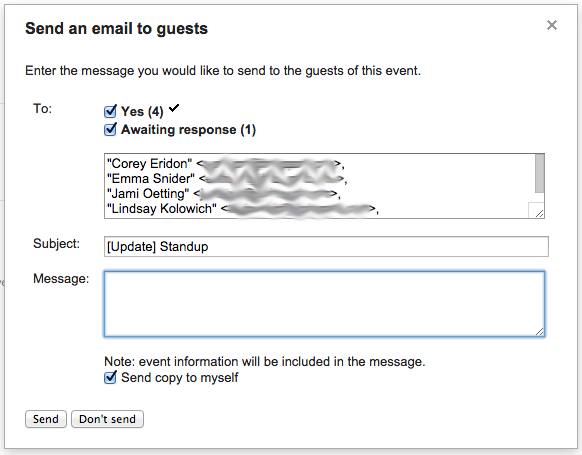 As long as you've added everyone to the event that needs to go, you can easily email everyone in the group by going into the event details and choosing "Email Guests," which is located above the attendee list. Then, an email compose box will come up. Simply type in your message and hit send! 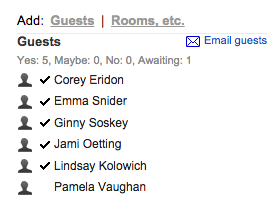 8) Add specific meeting locations. "Okay, so let's meet at the one on State Street," I said. "Oh, the one by the Court House?" he asked. "Well, it's kinda by the Court House, but further down State Street," I replied. "Oh, you mean the one by Downtown Crossing?" he clarified. Logistics can get fuzzy without a specific address. Thankfully, Google Calendar has a feature that'll fix all that. Instead of having the back-and-forth, I could've just sent my friend a calendar invite with the specific address in the "Where" box. It integrates with Google Maps so it's super easy to figure out where you're meeting and how to get there. As you probably can tell by now, I love Google Calendar ... but there is one feature I absolutely hate. If you have your Google Calendar open as a tab in your browser when it's 10 minutes before your next event, the 10-minute notification interrupts everything you're doing and takes over your screen. Forget about what you were working on -- Google Calendar will suddenly surface its tab with a big pop-up alert coupled with an annoying sound. It's the worst. Ever thought about instigating "office hours" so other folks in your company can book time with you? Or are you a part-time consultant with limited hours to book meetings? Or do you want to limit the times your team can book time with you to certain times of day? If you said "yes" to any of the above, then you should definitely think about using Google Calendar Appointments. Basically, this feature lets you carve out Appointment slots on your calendar and then share the Appointment calendar link with select people. When they click your Appointment calendar link, they can choose from any of your available options. 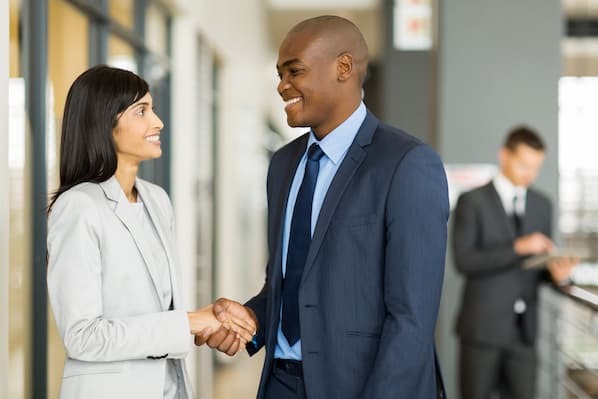 If they find a time they like, all they have to do is select it -- and voilà, it's booked right on your private calendar with the information you need for the meeting. 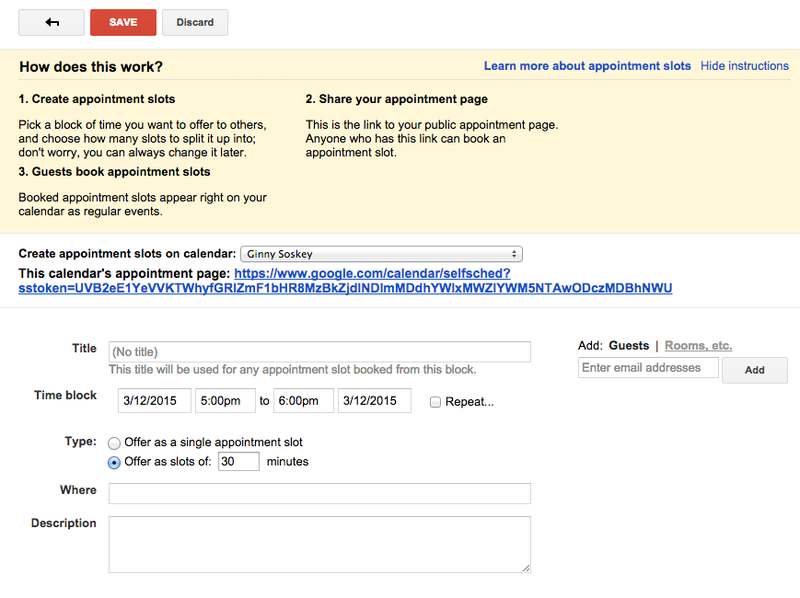 To set up your Appointments, click on a slot you'd like to carve out, just like you'd do for a typical event. But before you start filling out the event details, click "Appointment Slots" (it's next to "Event" at the very top of the pop-up). New options will appear. 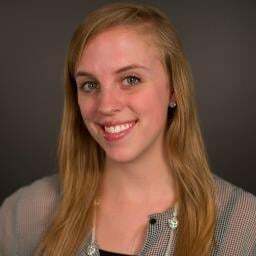 Want more tips on integrating Appointments into your typical workflow? Check out this great post by Likes & Launch. Want to make sure you're keeping track of holidays in other countries, your favorite sports team's schedule, or just know when the sun's going to rise and set each day? You'll find these calendars (and more) by heading over to "Interesting Calendars." To do that, click the arrow next to "Other calendars," and choose "Browse Interesting Calendars." From there, choose the calendars you'd like to subscribe to. 12) Implement a custom view. When you first set up your calendar, you'll have the option to view it as a week, month, the next 4 days, or as an agenda. That "4 days" option? You can switch that out with something else by heading over to your "Settings," and switching your "Custom view" options. 13) Share your calendars with others. If you're using Google Apps for your company, you can also control who sees your calendar, what they see, and whether they have permissions to edit it. (If you have an assistant, this tip will be very important to remember.) You can also make your calendar public, if you wish. To change your sharing settings, click on the arrow next to the preferred calendar and choose "Share this Calendar." 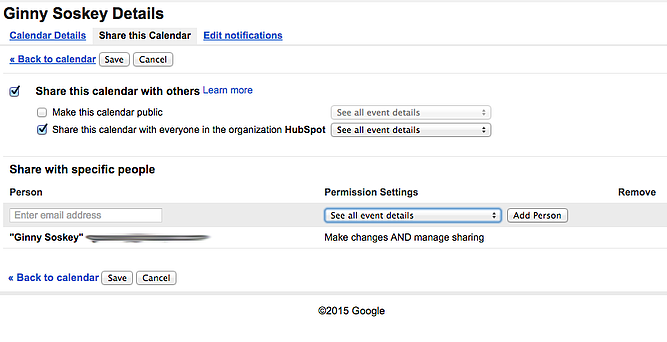 Choose to show event details to everyone in your company, or just free/busy information. Add someone to your calendar and choose their individual permissions settings (see all details; make changes to events; make changes to events and manage sharing; hide all details). When you're done, be sure to hit "Save." 15) Sync meetings with your CRM. 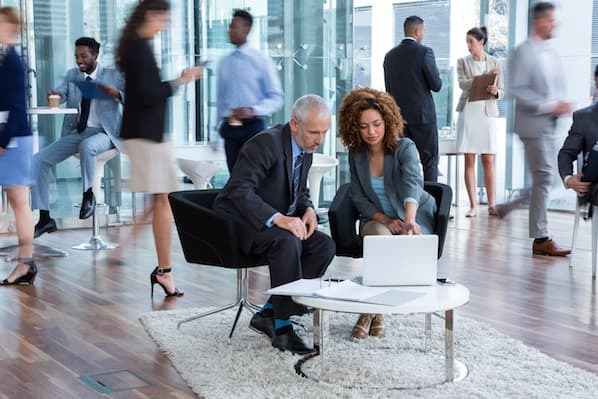 Use a CRM daily? It can be annoying to back and forth between your Google Calendar and your CRM. Instead, dive into your CRM settings to see if there's an existing integration with Google Calendar. HubSpot CRM users, you're in luck -- it's quick and easy to set up this integration. Learn more how here. 16) Sync your calendar with your marketing software. And if you want to make your Google Calendar align even more with your marketing activities, you can even integrate it with your marketing software. 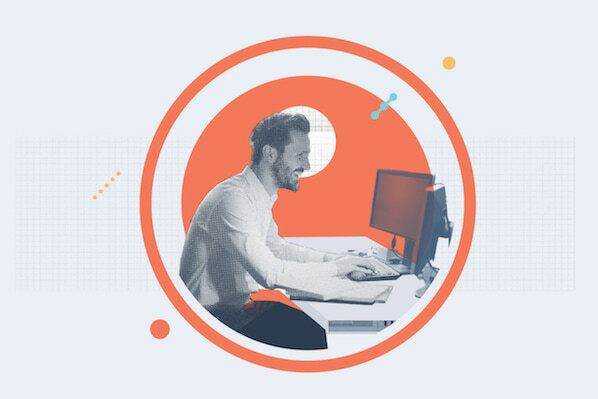 For HubSpot customers, you can use Zapier to set up some pretty nifty workflows, such as creating a social media message every time an event starts. Check out this page for more on how you can set up that integration, as well as some ideas for ways you can integrate the two. What other hacks do you use for Google Calendar? Share your favorites with us in the comments below.